"Wait til you see this! This is my favorite!" Baumgartner says, as he takes a french roll, drops mozzarella cheese in the bun, adds beef, some more cheese, and then, still smiling, dips the entire sandwich in au jus. Baumgartner tops the sandwich off with giardinieria peppers, and proudly hands it over. "The Italian Beef Sandwich is a favorite," says franchise manager David Brandner. 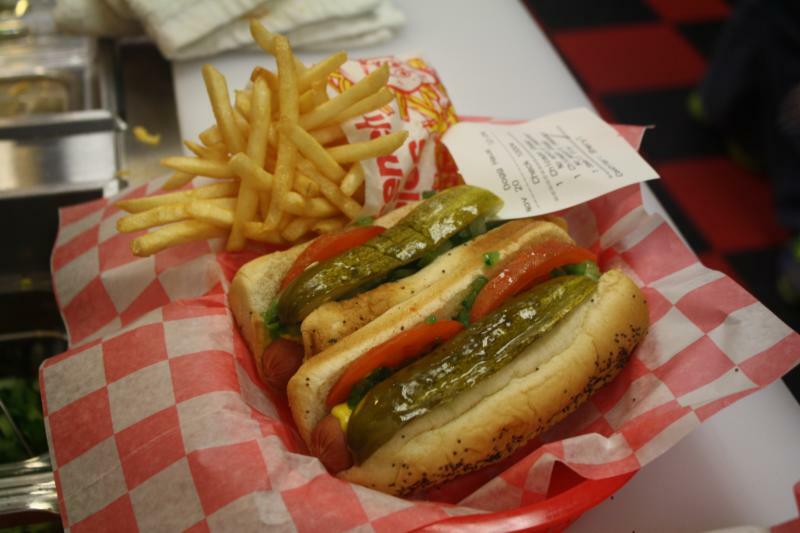 While that's a staple, Brandner says The Dogg Haus features Chicago-style hot dogs and other sausage products including mild and spicy polish sausages, Italian sausages and brats, and even a veggie dog. He says his shop in Eau Claire, which opened October 3rd, is the seventh of its kind. There are five Dogg Hauses in Milwaukee and one in Hudson. There are plans to open an eighth in River Falls. "The key differeniator between our business and other hot dog themed restaurants in Wisconsin is that we "import" everything from Chicago-right down to the ketchup, mustard, pickles, relish, etc., in addition, of course, to the hot dogs, buns, and sausages," says Brandner. Brandner, of the Minneapolis area, said each week, his team looks forward to midnight on Thursday, Friday, and Saturday nights, as that's when the shop has the most energy, with college students coming in to get a bite to eat. He said of course, they also like to host families for dinner, and high school students for post-game dining. The Dogg Haus prides itself on creating a fun, inviting atmosphere. The music format changes based on the time of day. Brandner says, "After midnight, the volume goes up, the bass kicks in, and guests feel as though they went from a party atmosphere right into another party. Our employees are encouraged to have fun with customers, offer loud and warm welcomes to everyone, and enjoy the "personality" of our late night visitors."